Captain Unreliability: Maintenance management: How to utilize the 5 "huhs"
Plant Services' CMMS/EAM Review puts you in the driver's seat to compare asset management software products. You decide how in-depth you want to go in controlling product features, from simple browsing of vendor data to customized scores based on your ranking of features. Click to explore the Review! 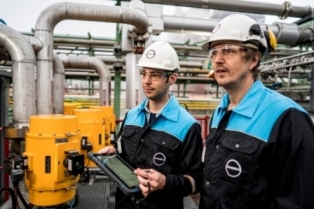 Portable wireless monitoring tools and user-friendlier mobile apps are making it easier to take a more-predictive approach to maintenance. Check out the Captain's best tips for optimizing your PM (pretend maintenance) program. Check out the most recent papers and reports created by Plant Services. Whether you are interested in original research, looking to learn more about a particular topic, or searching for in-depth analysis of a particular technology, we have what you are looking for. Survey results: How effective do you consider your STOs? Now available from Littelfuse, Inc. is the AF0100, a compact, cost-effective arc-flash protection relay sized to fit tight footprints and budgets. Our sister site, Smart Industry, focuses on the digital transformation of industry.